"This hotel was really nice and clean, close to downtown and..."
Have a question for Aloft Orlando Downtown? "The hotel is close to the basketball stadium." "The room was very big, modern and clean." If what you're looking for is a conveniently located hotel in Orlando (FL), look no further than Aloft Orlando Downtown. From here, guests can enjoy easy access to all that the lively city has to offer. With its convenient location, the hotel offers easy access to the city's must-see destinations. At Aloft Orlando Downtown, every effort is made to make guests feel comfortable. To do so, the hotel provides the best in services and amenities. The hotel provides 24-hour front desk, facilities for disabled guests, express check-in/check-out, luggage storage, Wi-Fi in public areas to ensure our guests the greatest comfort. Experience high quality room facilities during your stay here. Some rooms include television LCD/plasma screen, carpeting, linens, mirror, sofa, provided to help guests recharge after a long day. Besides, the hotel's host of recreational offerings ensures you have plenty to do during your stay. 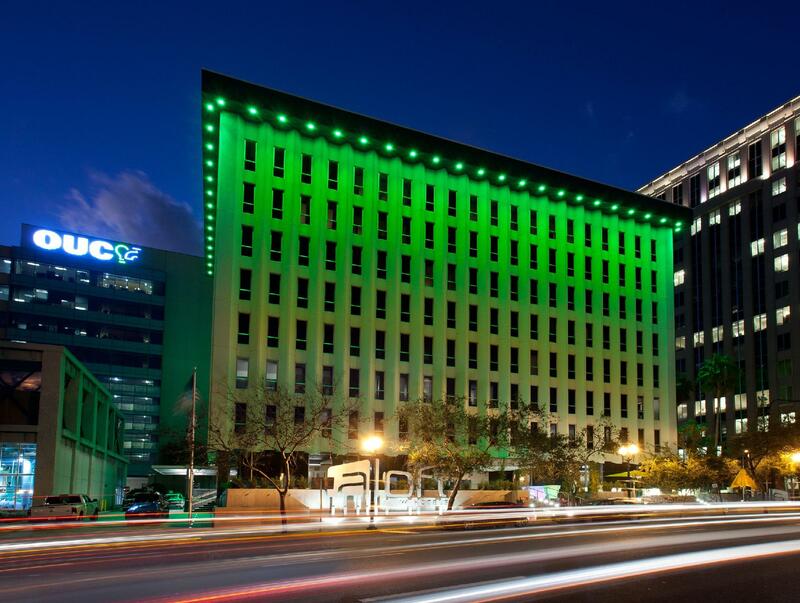 Whatever your purpose of visit, Aloft Orlando Downtown is an excellent choice for your stay in Orlando (FL). The hotel was very nice. The room was very big, modern and clean. The bathroom was big. The hotel is close to the basketball stadium. Staff was friendly and helpful. Had a wonderful stay. Would definitely stay here again. The room is large and clean. The breakfast is just okay. This hotel was really nice and clean, close to downtown and very dog friendly! I would definitely stay here or another Aloft because of these attributes.